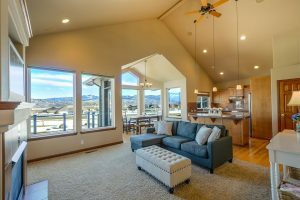 For people who get a truly unique home interior design when they are building or remodeling their home, it is obvious that they have more than gotten their money’s worth. 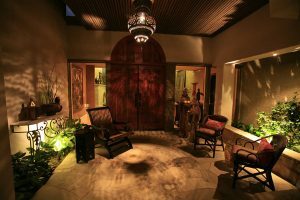 However, that value is often hard to see from the outside and many people don’t understand just how easy it is to customize a home to their every desire. This, in turn, saves the new owners from spending time shopping, experimenting around with pieces they don’t want, and from feeling like their home is too disjointed. 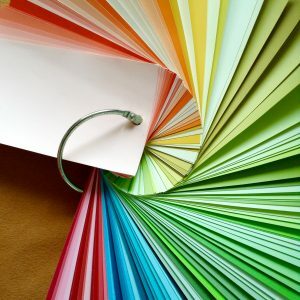 – paint swatches, fabric samples, color pencils & a ruler. For many people, the idea of a home that just works and doesn’t need to be changed drastically isn’t something they can really fathom. The idea of changing out items for something better as those items come along is something that is completely normal and done without even a second thought. However, people who get their entire home designed around their likes and dislikes don’t have to go through this process and therefore save a large amount of money over time. Custom designed spaces are also able to accommodate the habits of the inhabitants in ways that they might not have known were possible. Everything from built in book shelves to extra space for cooking, crafting, and playing with kids can be built into one’s interior design. This is why a custom design is often put into place during a complete remodel or during the building process. However, these changes can be made at any time and don’t have to stick to a schedule unless the changes are going to require large amounts of structural work. Unique designs are also a great way to showcase one’s personality and to make sure that their friends never feel like they are in a home that is sterile or unwelcoming. This can be important if the person who owns the home is fond of entertaining or wants to ensure that they always create a certain atmosphere when people are in their space. The process to get one of these unique deigns is actually rather simple and mostly just involves the owner of the home talking with a designer and talking about their personal tastes. These tastes are then translated into a series of sketches or computerized images that allow tweaking and large changes before the work is done. The designer takes everything that they are told and tries to make a room that will both welcome people in, but will also show who is living in that area. They will also take care to include any quality of life improvements that will allow the owner to stay happy with their home for years to come. Overall the price of unique home interior design can be a bit more than other types of design, but it does save money in the end. It is also one of the best ways to ensure that a home is personal and feels like a place where a family can be built, loved, and raised for the duration of one’s life. When it comes to interior design there a few rules that are usually recognized as standard. For example, it is often said to never match wall colors to a fabric. They should, of course, compliment each other, but not match precisely. 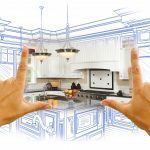 tools and accessories for home renovation on an architectural drawingIf the homeowners are wanting the ceilings to appear higher, having the curtains go all the way to the ceiling helps give that appearance. But the paint and color scheme will create the overall look and feel. Just below are some great living room paint ideas. Those wanting a classic look, neutral and light colors might be the right choice. 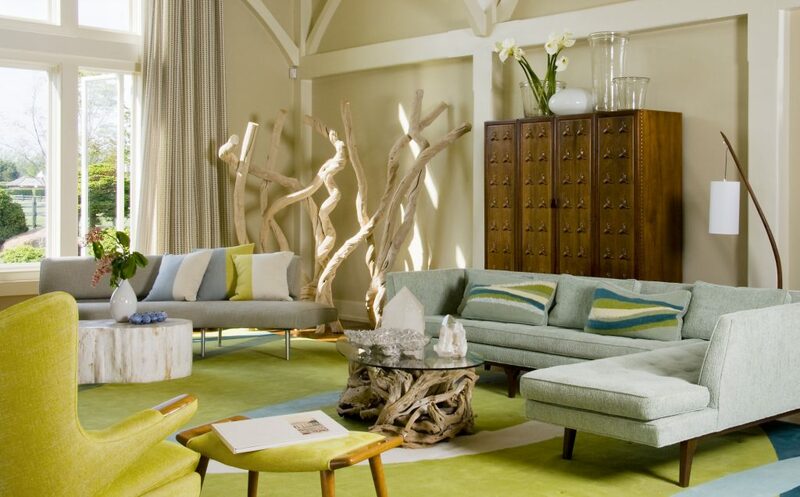 But those who want something warmer or if the living room feels small, then bold colors could make the difference. This is a traditional look and elegant. Using different shades of brown and tan colors along with muted shades of green and red creates an atmosphere that is calm and relaxing. Combining a bright green together with fuchsia creates richness and passion to the room. Painting the walls of the room green and accessorizing colors of lime, pink and fuchsia brings excitement and passion to the room. Create a rich and elegant look with a darkened, saturated purple for the wall. This color can be combined with medium to dark grays. To lighten up the room consider using cream-colored furnishings and 2 toned drapes. Paint the walls a beautiful aqua color and add furniture and accessories that are a sandy, tan color to give the room the feeling of being at the beach. Combining the colors catalina, chestnut and toasted marshmallow complete the look for one of the more refreshing living room paint ideas. Painting the living room walls a bright and inviting mango margarita orange and combining it with other room colors that are neutral will give the room a sense of tremendous energy like the perfect day of clear skies and warm sunshine. To create a classic look consider painting the walls an off-white. Accessorize the room with furnishings and other items that combine sandy whites and suitable darker colors like pumpernickel to bring depth to the room. When painting the living room it is recommended that the walls and ceiling are of slightly different, but complimentary colors. When using whites and off whites it should be done with purpose and not just as a default color. Depending on the shade chosen, it can give a sense of stability and security and can be cool or warm. 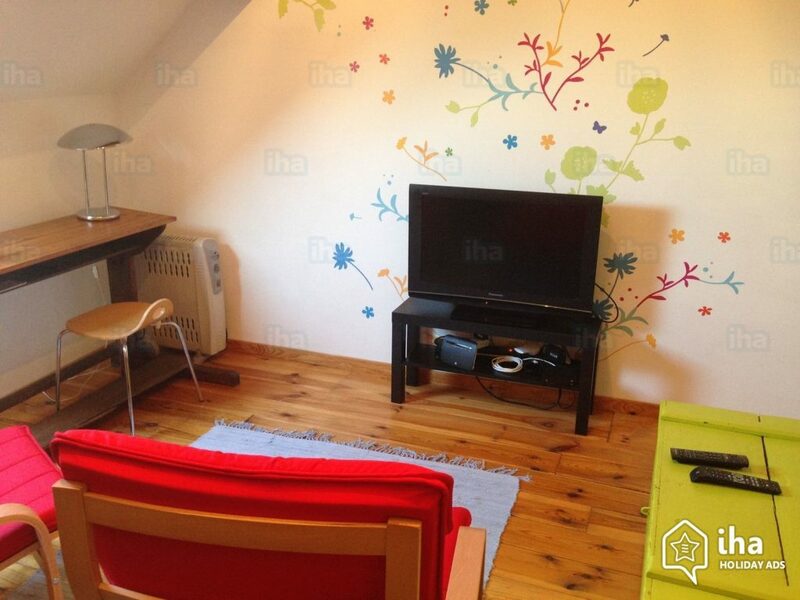 Red colors are for those who want to add energy, passion and a sense of power to the room. This color is generally not considered shy and for the living area, it is more common to use shades of pink and fuchsia. Blues were among the favorite colors for rooms, but green is now passing it as a favorite. There are several shades of green that can be used to give the room a sense of calm, or to brighten it up and add a sense of energy to the room.